I've been waiting a year to post this! I do not have a green thumb. It's rare that I can keep an indoor plant alive for any time at all. Last May, I chose this plant because the plant tag information said that it's easy to maintain. That's my kind of plant! To have the planter fit in with our . 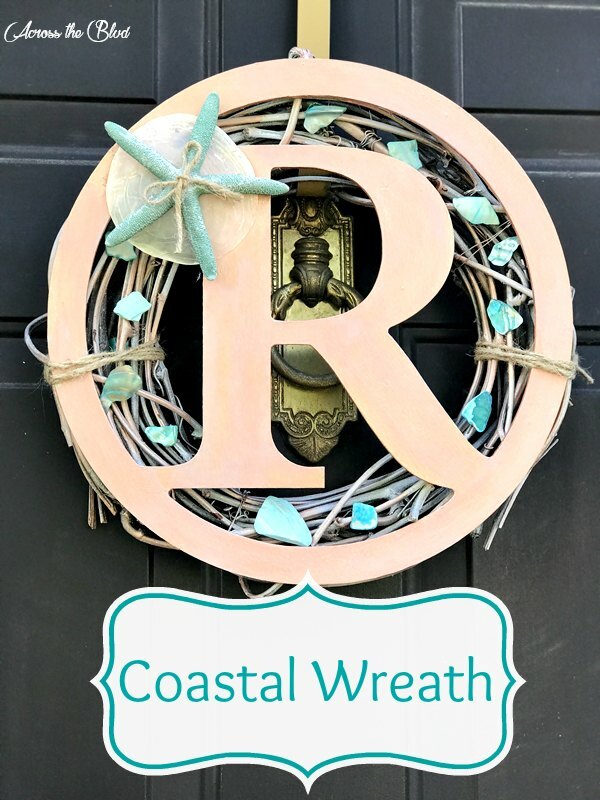 . .
Making this coastal wreath was easy and the best part for me was that I didn't need to buy anything new for it. All of the items were in my craft stash or in my box of items that I know I want to repurpose. Every year I like to make a new coastal wreath for our front door. This one is a combination . 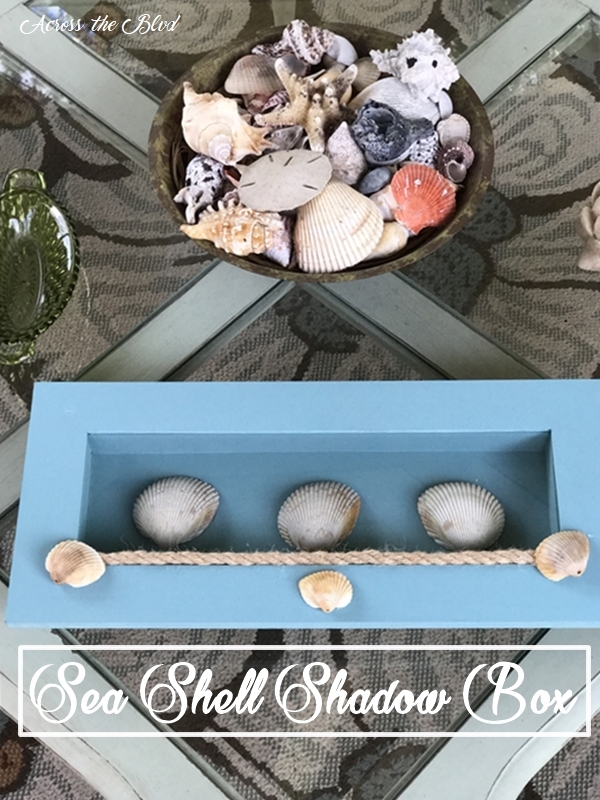 . .
As the weather warms up, I like to add some new simple beach pieces to my decor. 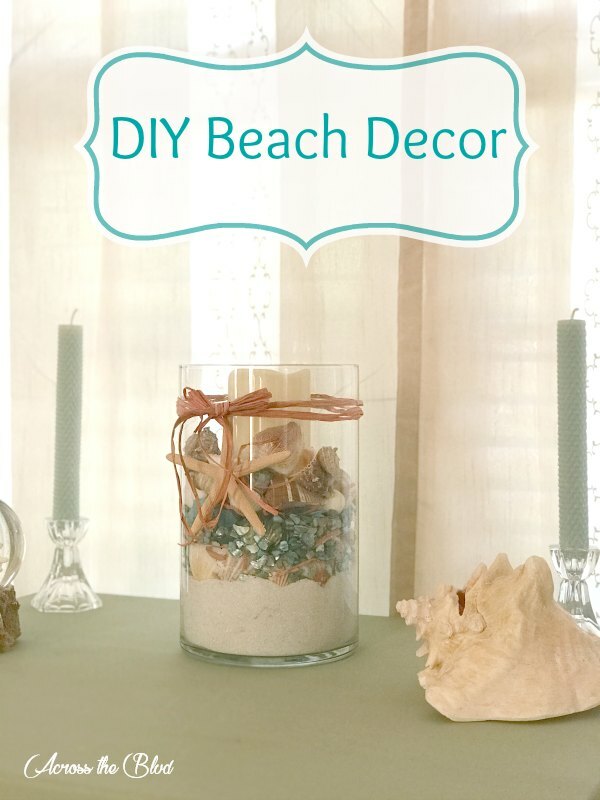 This DIY Beach Decor vase didn't take long at all to put together. 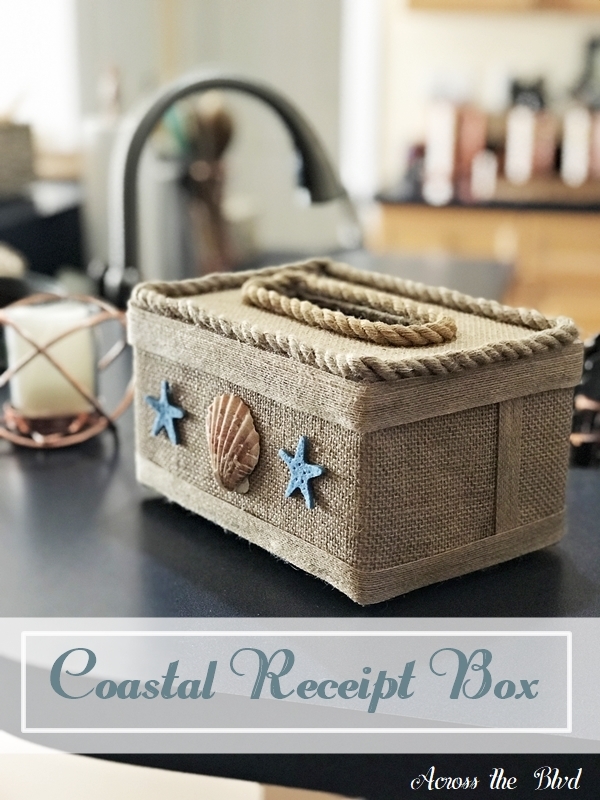 I added some color to it to have it match my sunroom decor and other coastal decor in the room. . . .
We're excited to share with you today a guest post from Michele from Coastal Bohemian. 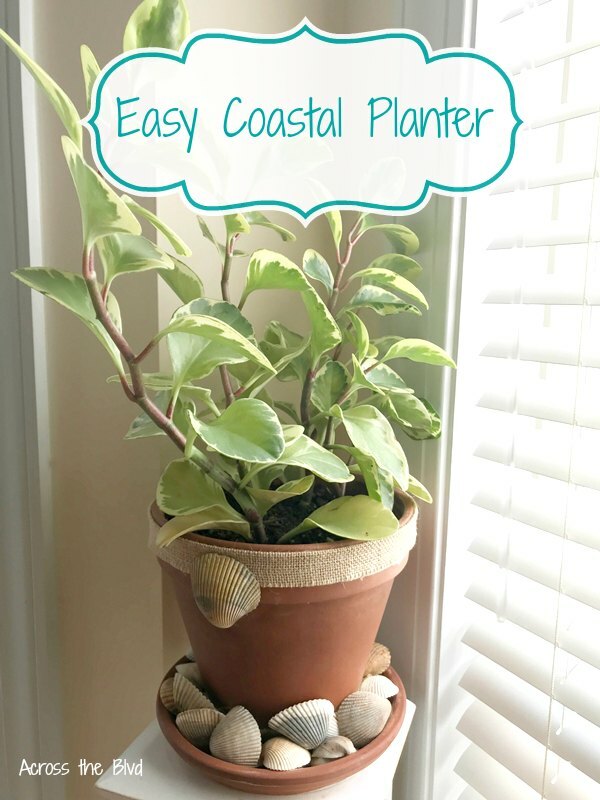 Michele's blog is filled with fun ideas to incorporate a coastal look for your home decor. 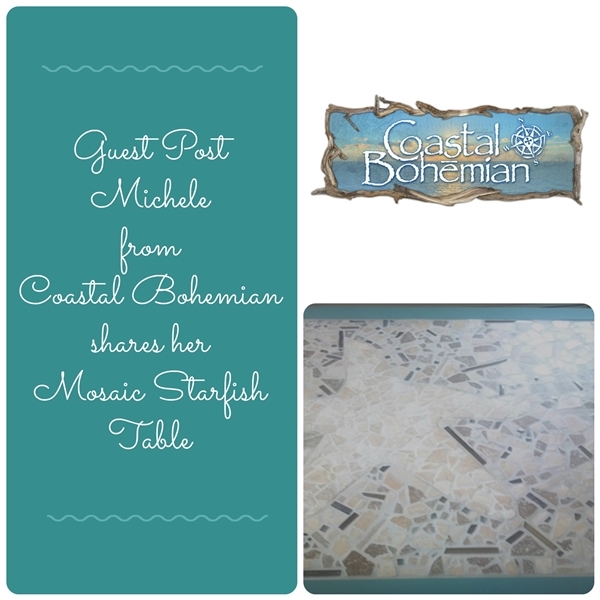 She creates unique pieces that bring the coast to you and she shows you how to do it, too. 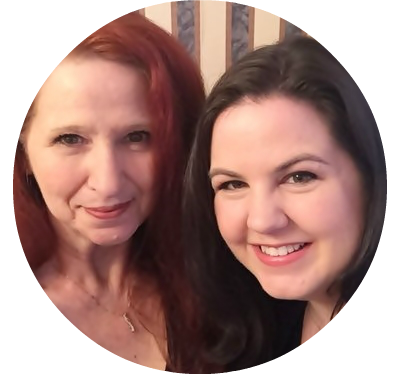 She describes her blog as a . . .
My husband saves receipts-all of them! Even though there is a digital record of almost everything he purchases, he still holds onto those receipts until he's sure they won't be needed and can be shredded. Now, I'm all for saving receipts for large ticket purchases or even for inexpensive items that . . . 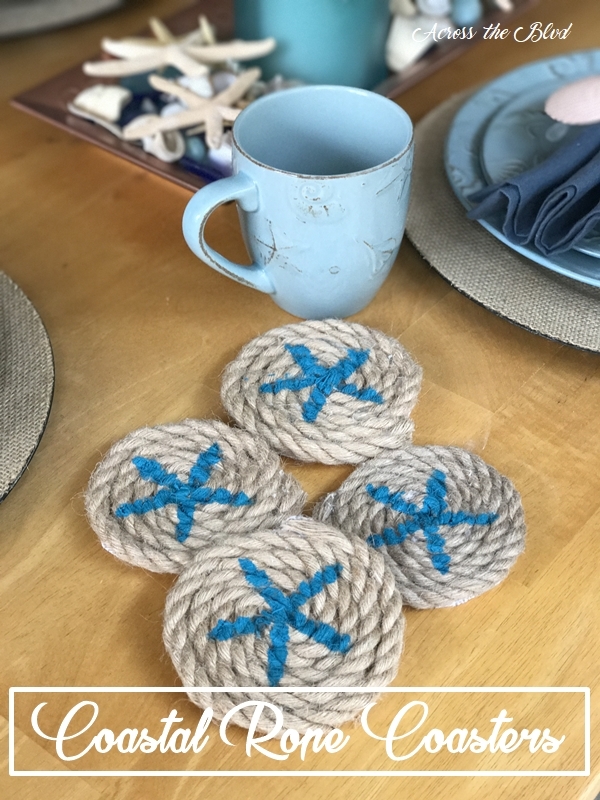 I've been meaning to make a set of Coastal Starfish Rope Coasters for a while. 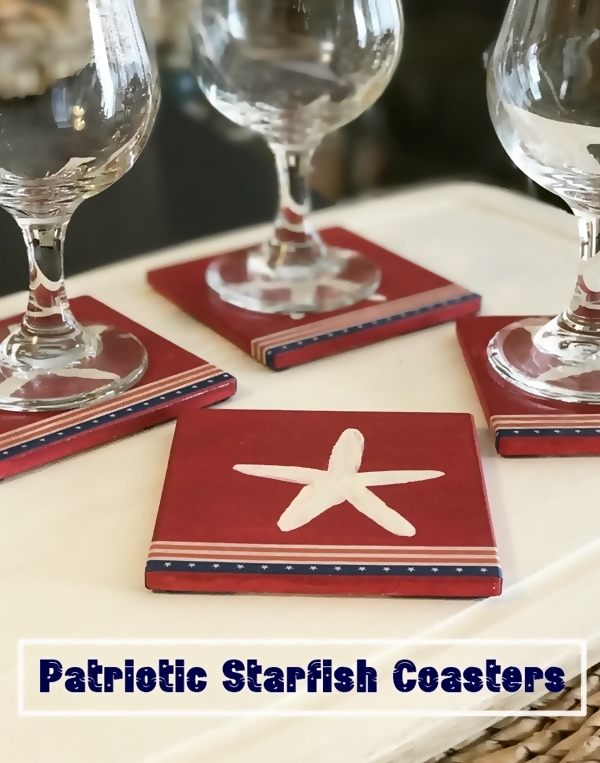 They are super easy to make and they're just right for a coastal tablescape. To make these, you'll only need a few supplies and a set of four can be made in under thirty minutes plus a little more time for the paint to . . . 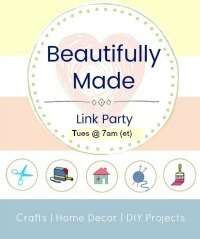 This month, our blogging group is participating in an Upcycle Challenge. I love giving thrift store items makeovers, so this challenge was a fun one. We could spend no more than $20 for the item and the materials needed for the makeover. If you've seen any of our thrift store makeovers, you . . . I have fallen in love with Sea Glass Spray Paint! It gives a perfect sea glass look and makes it easy to turn plain glass jars and vases into coastal decor pieces. 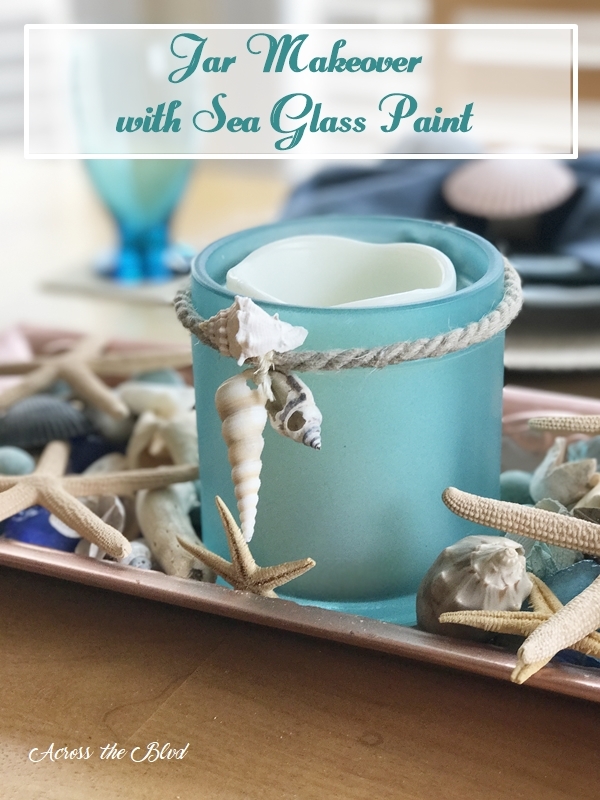 This Coastal Jar Makeover with Sea Glass Paint took about thirty minutes to complete. Most of that time was just letting the paint . . . I enjoy changing up this framed chalkboard seasonally. Most recently, it had a spring time look to it. 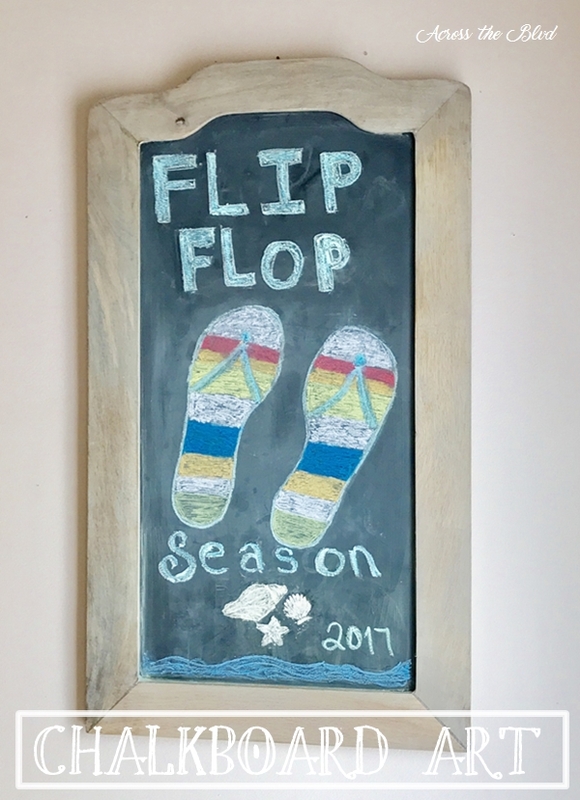 Now that the weather has warmed up-we're hitting ninety degrees in Charleston this week- it's time for a summer chalkboard. Gloria and I both live in flip flops for much of the year, but with this . . .